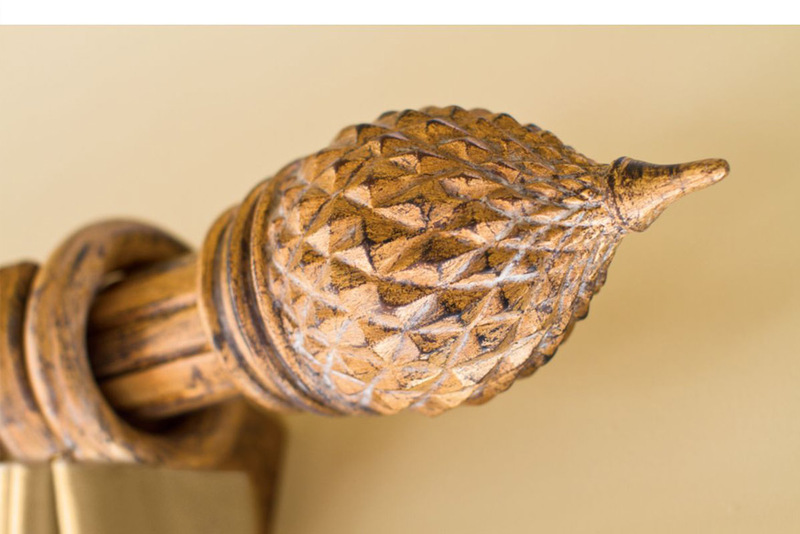 Buckingham Collection – Rich colors and refined shapes in fifteen hand painted finishes are featured in 2” and 3” pole diameters for use with 1 3/8”, 2” and 3” finials. View the Buckingham Collection brochure to see all colors and finishes. 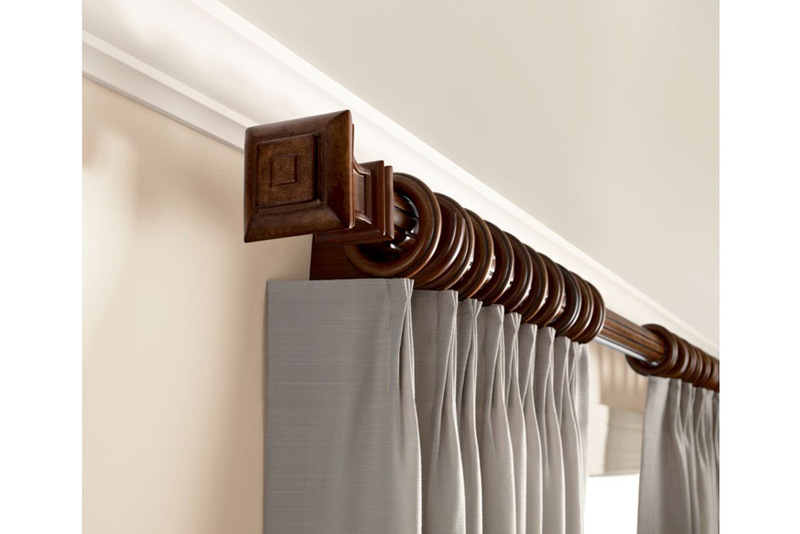 Designer Metals Collection – Striking finishes and geometric shapes with beautifully detailed accents are featured in the 1 3/8” fixed width, telescoping or traversing rods. Finials, medallion holdbacks, holdbacks and clip rings – most available in 9 striking finishes highlight the collection. View the Designer Metals Collection brochure to see all colors and finishes. Wood Trends Collection – Urban Comfort features clean lines and distinctive style and available in two dark wood finishes in 1 3/8” and 2” wood pole diameters. 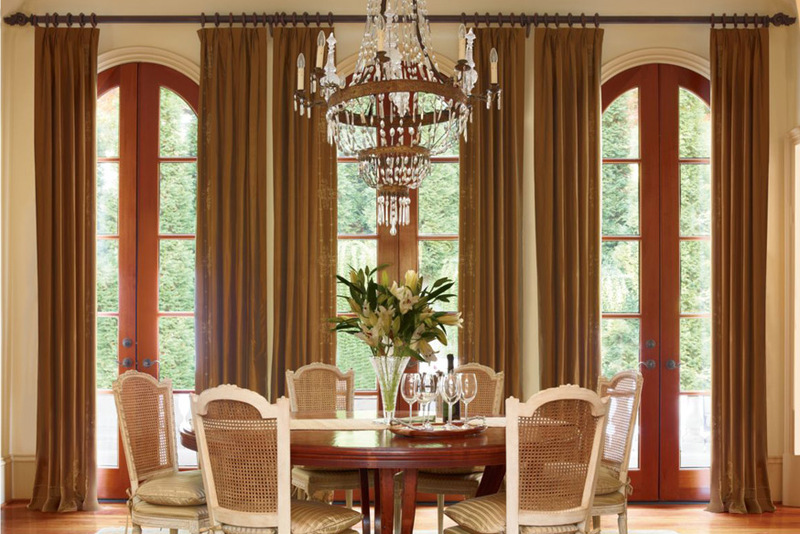 Renaissance boasts opulence and modern sensibility in five hand painted finishes featured in 2” wood pole diameters. The Classics presents perfect proportions in seven rich wood finishes are featured in 1 3/8”, 2” and 3” wood pole diameters. View the Wood Trends Collection brochure to see all colors and finishes. The Wrought Iron Collection combines 5 contemporary wrought iron finishes with the choice of nine finial selections to complement any room. View the Wrought Iron Collection brochure to see all colors and finishes. The Lafayette Hardware line combines contemporary and trendy finishes with designer finial choices and decorative accessories to complement your home decorating ideas. The Sahara Collection has eight finishes with 22 finial choices and a Sahara Ice Collection of finials that are shiny and bright! Mechanical tracks for traversing are also available in designer finishes. View the Sahara Sales Catalog to see all colors and finishes. Track systems for residential or commercial application are also available through the Lafayette Drapery Hardware program.